Just taking a moment to share a few of my favorite discoveries of the week (DOW). I recently discovered this a channel called Back9 Network. Not sure if any of you have heard of it or have even seen it listed on your channel line-up, but it’s really a network for golf aficionados, of which I am not. However, it bills itself as a lifestyle network. (I guess for the ‘golf lifestyle’). It’s channel 262 on DirecTv. I first discovered it while watching a show called “Wine Sense”, which was my only reason for turning to a channel focused on golf. I ended up watching two episodes back-to-back (one about sulfites and one about Sauternes, a French sweet wine). I also set my DVR to record a future episode on Malbec grapes and wine. The rest of the evening line-up for this network included stories about golf, more golf and where to go if you like golf. I’ll just tune in for the wine shows, thank you very much. The Malbec episode comes on in a couple of days so I’ll let you know how that turns out. 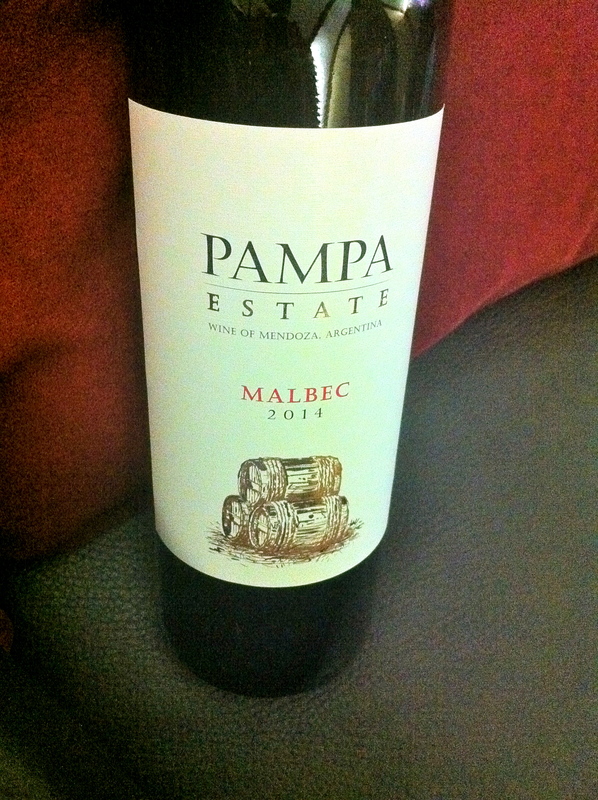 Speaking of Malbec, I found a new label I’ve never heard of…Pampa Estate. Guess where I found it? ALDI. Yep. Snagged a bottle for $4.99. I actually wasn’t skeptical to try it because I’ve had several wines from ALDI and they have been quite good. And the wine label, “looked” expensive, not cheap. The color and type of font (embossed gold) screamed ‘expensive’. Anyway, this wine didn’t disappoint, considering I judged it only on the label. And I was curious because this was the first Malbec I’ve seen at ALDI so I HAD to try it. Did I say it was only $4.99? I am a lover of Malbec and I’ve tried quite a few, but none more than $20. I’ve yet to determine why I need to spend more than $20 on a bottle though a couple of times I made an exception with Conundrum ($22 at most places) and it’s been a couple of years since my last Conundrum purchase. My budget is more like a “two buck Chuck” budget (my Trader Joe fans remember that wine). My wine budget is between $6 and $12 a bottle with an average price paid around $9, but lately I’ve not spent more than $6. I love a good discount. But I digress. This Pampa Estate Malbec was surprisingly good. Not as peppery as some Malbecs that I’ve had, but definitely one of my favorites. It wasn’t a thin wine, as most cheaper wines tend to be…I hate thin, watery wines that taste flat. Blech. Anyway, there are also other wines I enjoy at ALDI, but I’ll save those for another post. My last new discovery of the week, the DW Home line of candles and home fragrances. I actually purchased one of these candles for $7.99 from TJ Maxx a couple of months ago, but I finally decided to look up DW Home online this week. They have a website, but there’s not much on it and you can’t purchase anything on that site. They seem to update Facebook and Instagram more than their website. I am now obsessed with this line of candles and I want more! The candle I purchased is in a 15 oz glass jar and has very rich scent without being overwhelming or too pungent. You know how the scent of some strong candles gets caught in your nostril hairs and in your throat? This doesn’t do that at all. 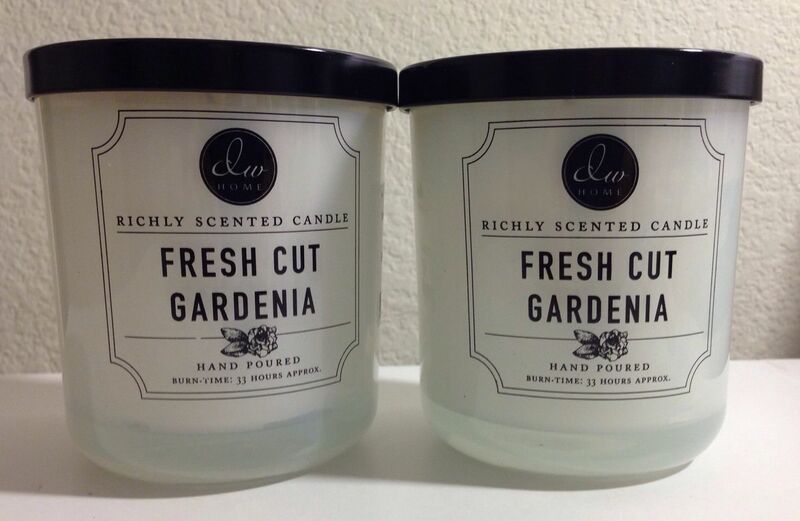 I purchased the Fresh Cut Gardenia scent and as much as I love gardenia (or Cape Jasmine as my mom would call them), the scent can be strong if you don’t really care for it too much. But this candle is subtle but has a very realistic scent and it smells as if you have a bouquet of gardenias on your table. I searched Amazon and eBay and the same size jar candle sells for $22 to $36! Whaaaa the whaaa? I would imagine that if they carry it at TJ Maxx, you can also find this line at Ross and at Homegoods, but I’ve not search those places just yet. I recommend that you if you see this line of candles on the shelf at one of those places, snag a couple of jars. They would make excellent gifts and it’s a great buy for $7.99. Ahh Yeah…Time For Hot Chocolate!! Ran across this and I got SO excited… “Ten Fresh Ways To Improve A Mug of Hot Cocoa“…ya’ll know I am all over this. Check it out and let me know which one of these recipes you’ll try. Who’s ready for winter?! I will be trying these very soon!